At Chiropractic Life Health & Wellness we have a state of the art functional fitness facility where we offer Personal Training. At Chiropractic Life we like to say, “what gets measured, gets managed”, so in order to start your Personal Training it is essential to run a Wellness Score (link back to wellness score page) to find out where your health and functional fitness is at before we personally customise the plan you need to get you back to health and optimal function. 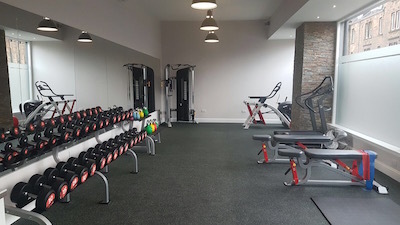 We understand the gym is not for everyone so what makes our gym different from anywhere else is that it will never be congested, if there are other people training they will be at a similar level in fitness and health as yourself, and our aim is to create a fun, friendly atmosphere where you will be inspired and motivated to achieve the best health you can. What does the Personal Training consist of? Each and every Personal Training session is customised to the individual based on the results of their Wellness Score, however we run two types of sessions, Posture Prep, and Personal Training. Our Posture Prep is a 30 minute session focussed at improving posture, spinal mobility and core stability. This is ideally suited to support our patients under Chiropractic care and helps correct Upper and Lower Cross Syndrome as well as strengthen and stabilise their spine in order to prevent future problems. Our Personal Training is a 1 hour session focussed at improving your overall health. This is included in our 8 Weeks to Wellness programme, however many of our patients choose to include it as part of their ongoing healthcare. The session is designed to improve your flexibility, strength, and cardiovascular health, so in other works you can expect to get sweaty, increase lean muscle mass, burn fat and still touch your toes! As we said “what gets measured, gets managed”, so all of our Personal Training clients will get a heart rate monitor in order to measure and manage their cardiovascular health. Each and every session will be individually planned prior to you arriving to make sure you are continually progressing as expected and don’t get bored. We will run another Wellness Score at the end of your programme to objectively measure where you and your health is at and to allow us to give you further recommendations. 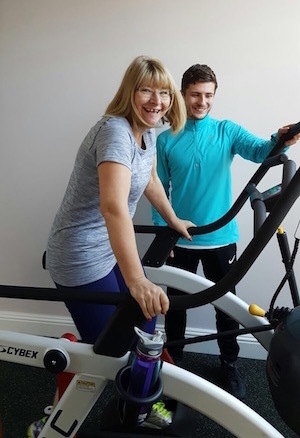 As well as this we have on-site Chiropractors, Massage Therapists and Nutritionists at our disposal, this allows you to have every aspect of your lifestyle working towards getting the most out of your training.